Twenty years ago nationally and in Lubbock, most defendants were released on their own recognizance. In other words, they were trusted to show up again. 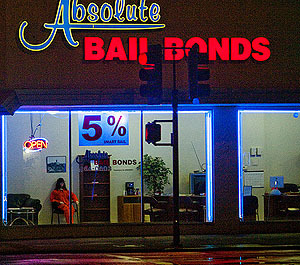 Now most defendants are given bail — and most have to pay a bail bondsman to afford it. Considering that the vast majority of nonviolent offenders released on their own recognizance have historically shown up for their trials, releasing more inmates on their own recognizance seems like an easy solution for Lubbock. But that is not the solution Lubbock has chosen. County officials have instead decided to build a brand new megajail, costing nearly $110 million. And Lubbock is not alone. At least 10 counties every year consider building new jails to ease a near-epidemic of jail overcrowding nationwide, according to industry experts. That’s from NPR’s Laura Sullivan. So why the change over the past couple of decades? Mostly, Sullivan says, “to protect the interests of a powerful bail bonding industry.” Gruesome details in this accompanying piece. Both are well worth a read.